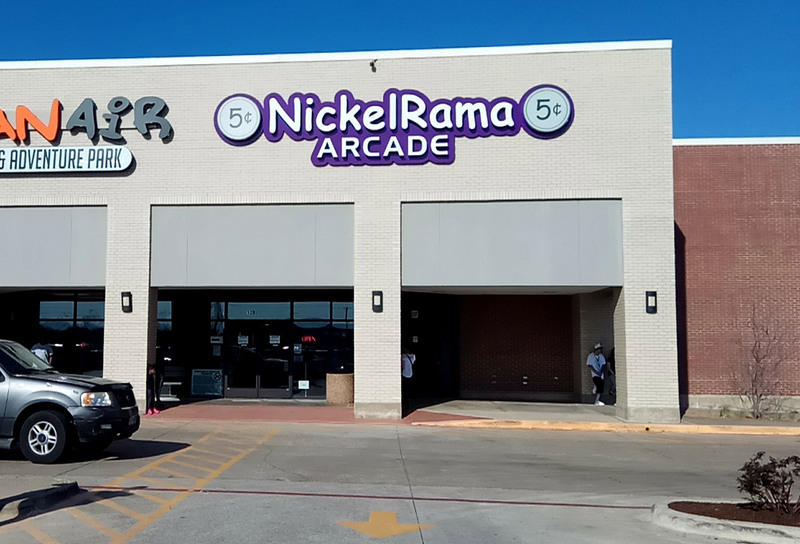 Earlier we reviewed the original NickelRama location at Northstar Crossing in Garland, Texas and explained the concept of charging a $3.50 entry fee and then pricing their machines so that a few 5¢ nickel coins buys you a credit. NickelRama also has this second location two miles away on the other side of Garland at Firewheel Commons. 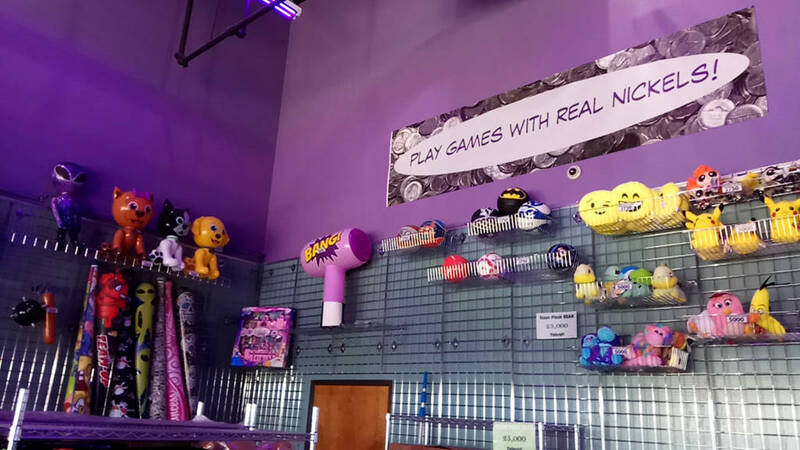 It shares a storefront with a trampoline and adventure park and so looks a little less impressive than the Northstar Crossing branch, but is larger on the inside than it first appears. 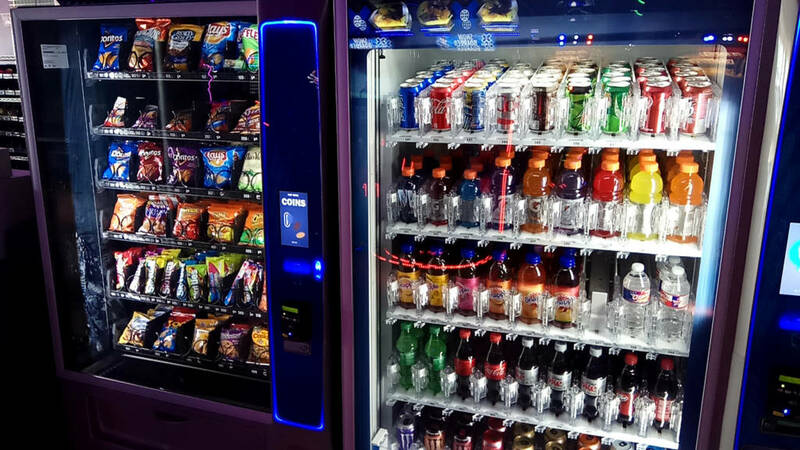 NickelRama at Firewheel Commons Inside NickelRamaThis branch shares the internal industrial-chic decor of the first, along with the predominantly purple and UV lighting. 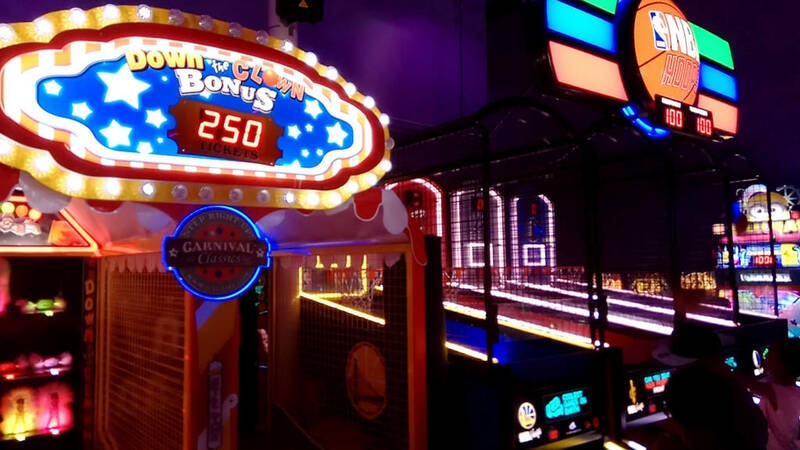 It also has the same impressive selection of modern arcade games for guests to play, with the prices ranging from a single nickel up to six nickels (30¢). The prices might be cheap but the games are all of a high standard and are fairly recent models. 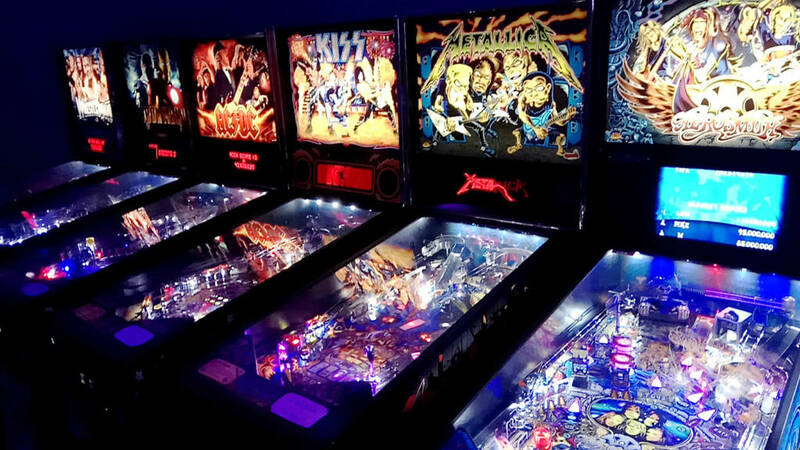 Some of the games at NickelRama More of the games at NickelRama More of the games at NickelRama More of the games at NickelRama More of the games at NickelRamaUnfortunately, the number and selection of pinballs is not up to the high standard set at the original branch. 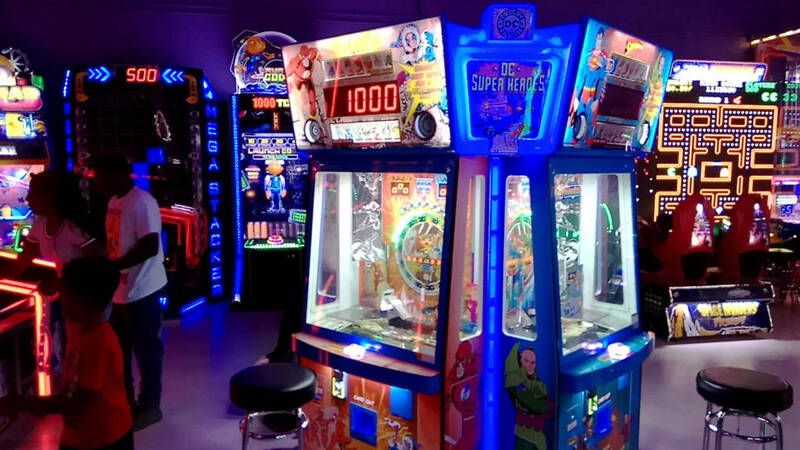 While NickelRama #1 had a dozen of the very latest pinballs including all three of the Jersey Jack Pinball machines, this branch only has a single row of six – all slightly older Stern Pro-level titles. 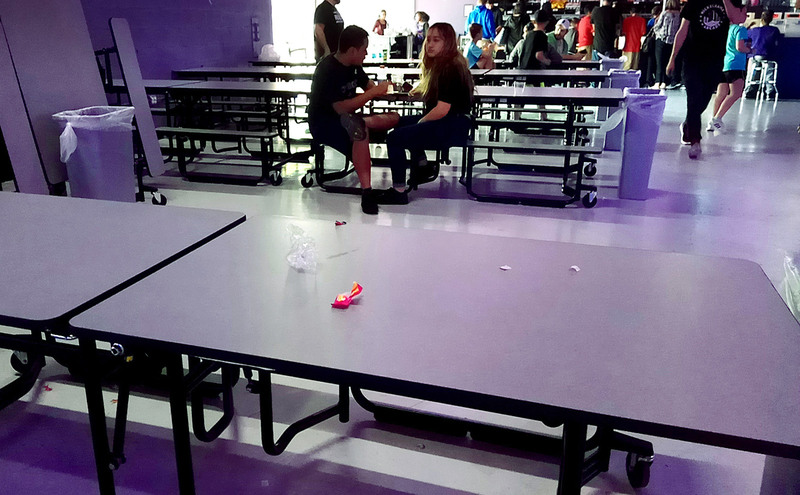 It had the feel that this is where games move to after making their debut at NickelRama #1. That’s not to say they aren’t all decent titles and didn’t all play well, because they are and they did. 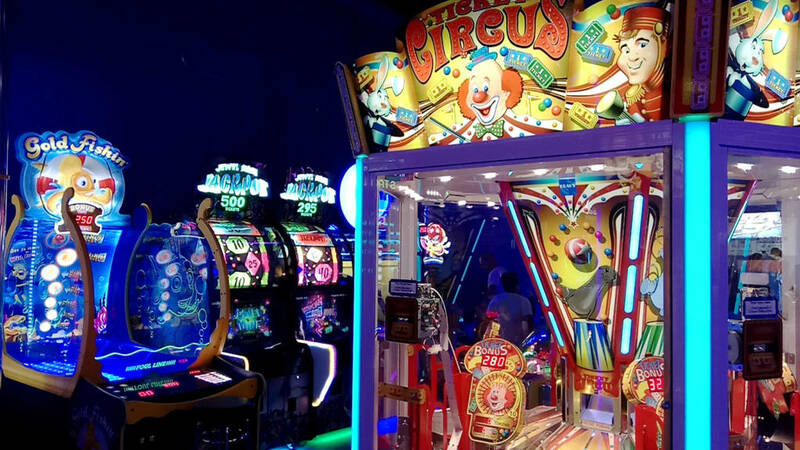 The pinballs are tucked away right at the back corner of this NickelRama arcade. It’s a dark area but the six Stern games are all brightly-lit enough for that not to be a problem. 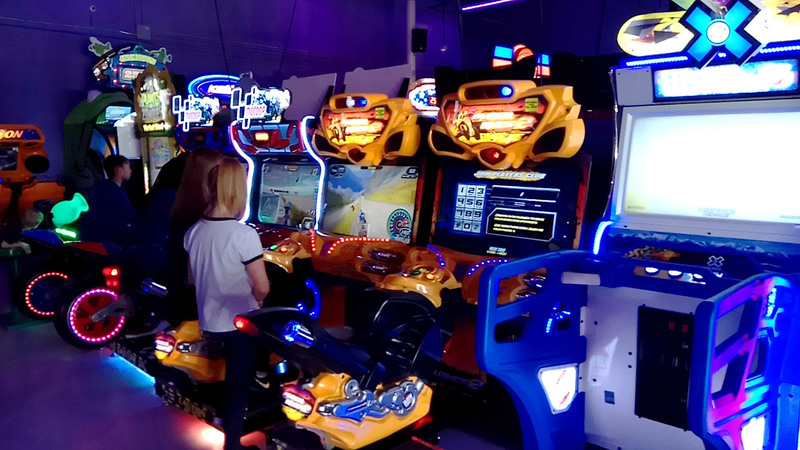 Like most arcades, redemption plays a large part in the enjoyment of the games, especially for the younger players. Right at the front of the arcade is the ticket redemption desk. The redemption desk More redemption itemsAnother good money-spinner for arcades is hosting parties for kids, school trips or other organised groups and events, and NickelRama has tables and seating set up near the entrance for this purpose. 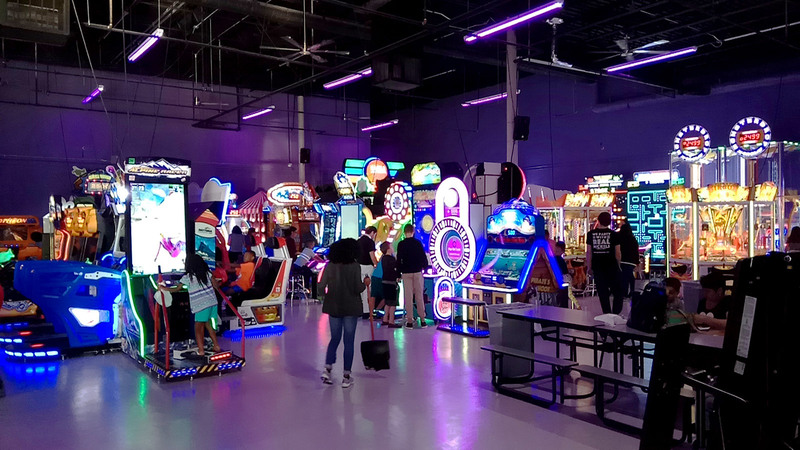 The party areaWhile the arcade does offer a limited range of snacks and drinks from vending machines, they encourage party organisers to being their own food and non-alcoholic beverages, and offer reduced-price arcade entry packages if you pre-book for a large group. 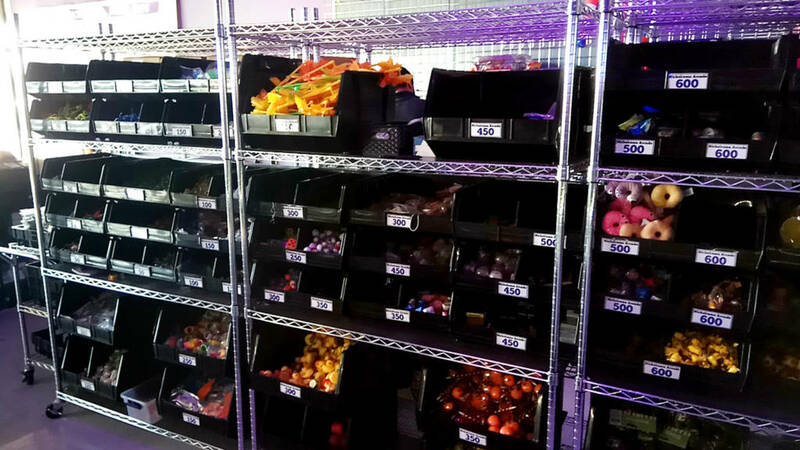 Snacks and beveragesTo conclude, while this second NickelRama is a perfectly decent arcade in its own right, with a nice selection of games and a clean, safe atmosphere, we can’t help but feel that, for pinball fans at least, it’s better to stick to the original location and their wider range of newer titles. 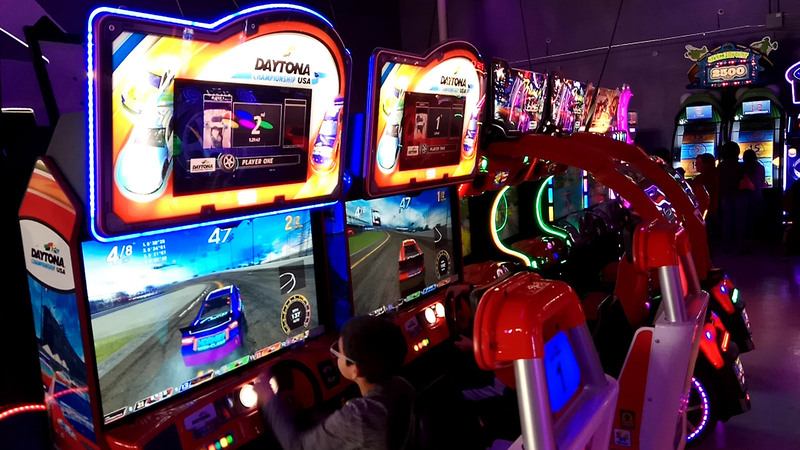 Both arcades were pretty busy during our weekday visits, so it certainly seems as though there is enough demand to support two NickelRamas so close together, which is good for the future of arcade gaming.